← Your favourite PSH film? 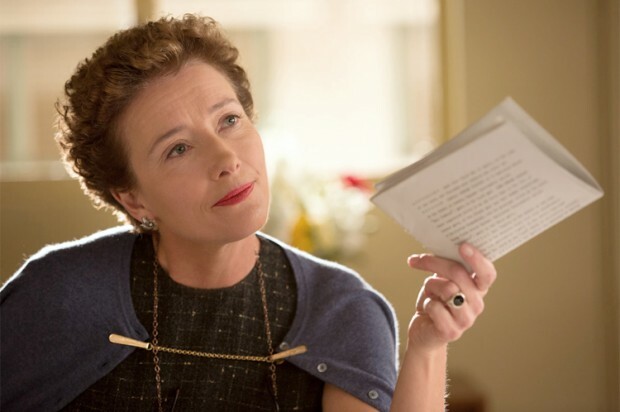 The writer PL Travers, on the other hand — played by the doughty Emma Thompson in Saving Mr Banks — is far more tightly wound and prim-lipped, as if yet to Dahlia-tise. Writer of a beloved series of children’s books, she’s being hounded by a big commercial studio to let them adapt her work into a movie, a movie she fears will end up too garish, and miss the whole point of the book. It’s a solid getting-along setup, and sounds like a hoot — even without America’s most cherished actor playing the one and only Walt Disney. Promise, then, is writ large across this peculiar film — part self-congratulatory corporate pat, part ode to selling-out, part the idea that The Mouse knows best — and it might have delivered better on this were it not mostly inaccurate. Mrs Travers herself, most notably, while indeed notoriously particular about the adaptive process, was a relatively bohemian free spirit, not the closed-off schoolmarm we laugh at in the film before coming along to her side after seeing her conveniently mawkish childhood. But come come, is this truly a surprise? That the House of Mouse has finally allowed a story about its mythologised creator, and that they felt the need to tailor the facts around for the sake of a sweeter parable? That the studio that changed everything it touched — giving Rudyard Kipling’s Mowgli a girlfriend at the climax of The Jungle Book, for example — would take a perfectly intriguing character and turn her into a caricature? In fact, considering the fact that this film about the making of Mary Poppins coming just as 50th anniversary editions of Mary Poppins are itself stocking shelves anew, Saving Mr Banks could well be considered the Disney-est film of all, a full-length advertisement for the classic, a film simplified and candied and self-aggrandising in the most blatant way. But hark, it works. Despite — or because of — this very syrupiness, and because of its extraordinary cast, the film works even as it falls short. What’s that they said about a spoonful of something? Emma Thompson soars above the material as if clutching an enchanted umbrella that refuses to stay grounded in mediocrity. She’s an overcorrecting ogre, one who chews up her American driver so much that he, confused, begins addressing her simply as “Mrs.” She can’t abide made-up words or moustaches where there were none, and in one astonishing moment she makes Walt Disney promise not to use the colour red in “her film.” And yet she thaws… to a tune buoyant enough to forsake an inch of grammar, to the fact that a film is not a book, to Walt and — in a delightful wordless moment — to Mickey Mouse. Everyone in the film is top-notch, even those in bit-roles. Paul Giamatti plays the aforementioned limo driver and delivers lines so cheery they’d have fallen flat when mouthed by lesser actors; Jason Schwarzman and BJ Novak strike up the musical cavalry as the composing Sherman brothers; Bradley Whitford is suitably hapless as Don DaGradi, the Mary Poppins screenwriter (Mrs Travers immediately reminds us he’s a “co-”screenwriter); Annie Rose Buckley, as the young Pamela Travers, is insanely adorable and bright eyed; and Colin Farrell turns in a soft but exceptional performance as her father, a man both beautiful and damned. It is, in the end, as you would expect it to be. Which doesn’t mean its any less joyous. We can argue about its truth — and its darker, commercial truths — for hours, but sometimes the truth could really use the sugar. If Disney’s ways did lead to a film that generations upon generations of children remain besotted by, then he may well have been in the right. This film, by admiring that instead of questioning it, loses its sharpness: but candyfloss could do without an edge. 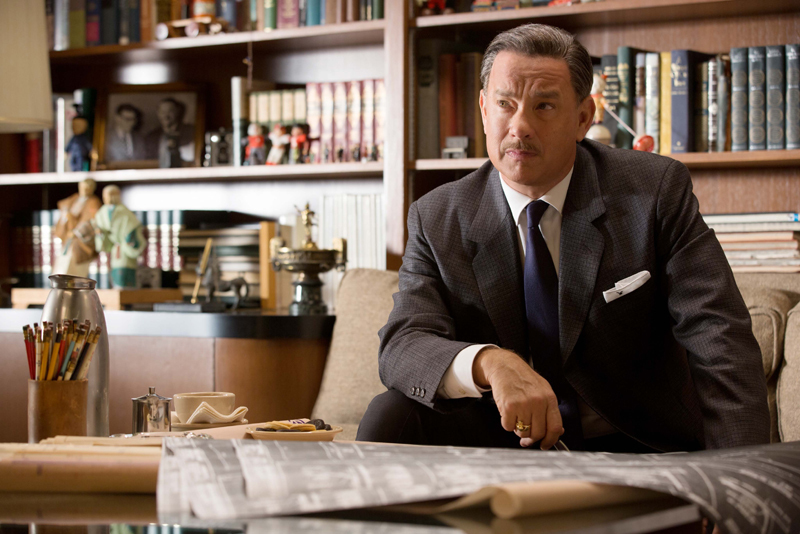 Saving Mr Banks is too long, too sentimental, too hacky in bits, but, ultimately, it’s truly chipper in a way most films have forgotten how to be. It might not be supercalafragilisticexpialidocious, sure, but at least it points us in that direction.